Over on Tom’s Radio Room Show (TRRS) on YouTube Tom has uploaded a video showing how to use SDR# together with Vasili’s Fast Scanner plugin. 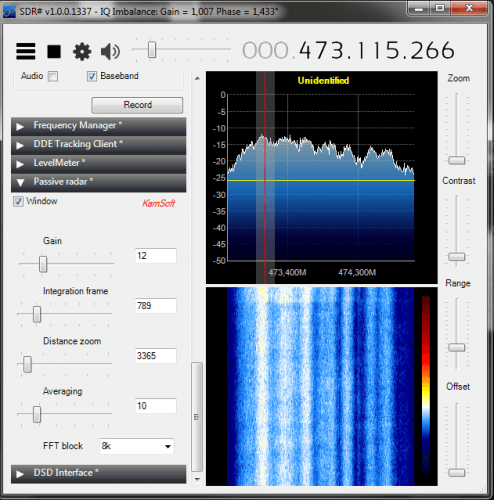 Fast Scanner is a plugin for SDR# that allows you to use SDR# as a wide band scanner. Essentially this quickly scans through multiple ~2 MHz chunks of bandwidth, and automatically tunes to any active signals. In his video Tom shows the Fast Scanner plugin in action, shows how to use it, discusses a bit about how it works and also shows what all the features are. 1. Added the selection of multiple ranges to scan. Ranges can be different modulation and bandwidth scanning step. To select multiple ranges, use Ctrl . 2. The scanner operates completely independently of native squelch SDR #. To determine the end of the activity, a new parameter Hysteresis – is the level below which the signal is considered inactive. 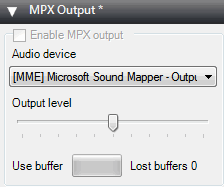 When using the option Use Mute , you can disable the squelch SDR #. 3. In setting the added options – choose the scanning signal with the maximum level and the width of the spectrum used. 4. Parameter Detect moved from the window in the panorama scanner settings. 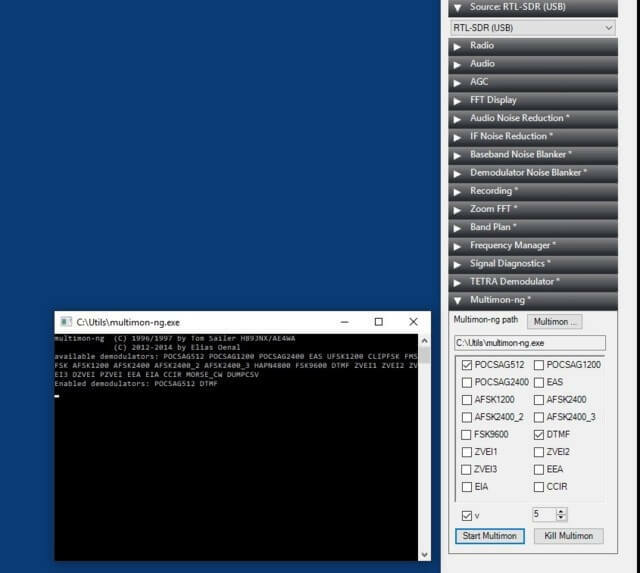 If you’ve been having trouble figuring out the use of SDRSharp plugins, YouTube user radiosification has put up a useful video tutorial showing the installation steps required to get set up with the popular SDRSharp fast scanner plugin (old link), which was also recently updated. In the second video he shows the fast scanner in action on the airband. 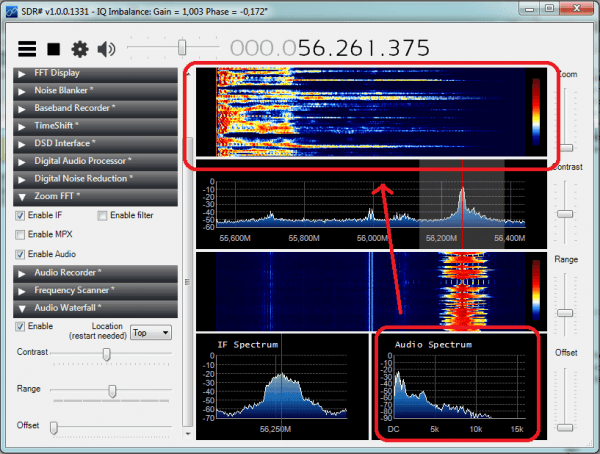 There are a number of SDRSharp plugins that extend its functionality. Here is a collection of all the plugins and download links that I could find. The installation of most of these plugins will require editing the Plugins.xml file with a text editor such as notepad. Most files will contain a readme.txt or magicline.txt file that shows what line to add to the Plugins.xml file. Just copy and paste the plugin .dll into the SDR# folder and add the magicline line to the plugins.xml file to install the driver. Note: Now that SDR# has updated to the .NET4.6 platform (October 2015), many old plugins that are not maintained may no longer work. However the actively maintained plugins have all been updated and are listed below. This is a plugin package which comes with three plugins. It comes with a more advanced frequency manager than the one shipped with SDRSharp. It also has a scanner option which can quickly scan through a group of your saved frequencies, looking for an active signal. It also has a scanner metrics plugin, which records frequency activity to a database. Later this database can be analyzed to find out which frequencies are the most active, saving you time searching manually for active frequencies. Finally, this package also has a frequency entry plugin, which works like the old SDRSharp frequency entry used to work. Basically, it just allows you to choose a center frequency and IF frequency easily by typing it in instead of adjusting it with the mouse. Similar to the Frequency Manager and scanner plugin in that it automatically tunes to active signals above a certain power. Allows programs like WXTrack to work with SDRSharp through a DDE interface. Used to demodulate QPSK signals from the Meteor M2 weather satellites. Used in conjunction with LRPT decoder. See tutorial here. 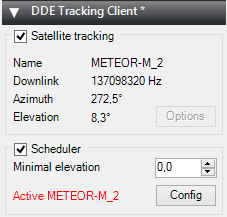 Another plugin that allows satellite tracking software like WxTrack and Orbitron to interface with SDR#. This one is meant to be used with the QPSK decoder plugin for automatic scheduled decoding of satellite passes. See tutorial here. Allows the GPredict satellite tracking software to interface with SDR# and automatically control the frequency. Allows you to remotely control SDR# through a network connection. Adds a Continuous Tone-Coded Squelch System (CTCSS) decoder. Adds a Digital Coded Squelch (DCS) decoder. Similar to the CTCSS detector. Allows signal reception to be timeshifted to allow for time to click on a signal. Adds digital audio processing features such as an improved squelcher, an audio inverter and a bandpass and deemphasis filter. 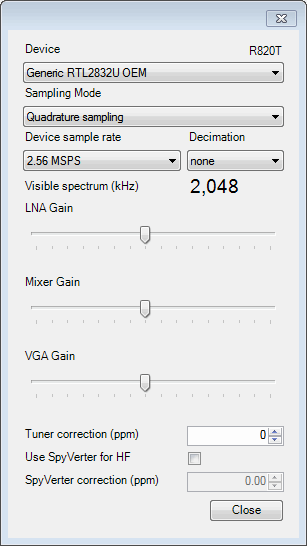 Similar to the digital audio processor shown above, but adds the ability to graphically adjust the bandpass filter in the audio spectrum of SDR#. Logs Radio Data System (RDS) data to a CSV file. 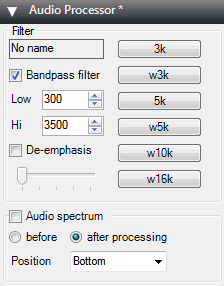 Adds a GUI interface for the popular DSD+ digital speech decoder program. Replacement for the standard IQ autocorrection. Helps improve performance on slow computers. 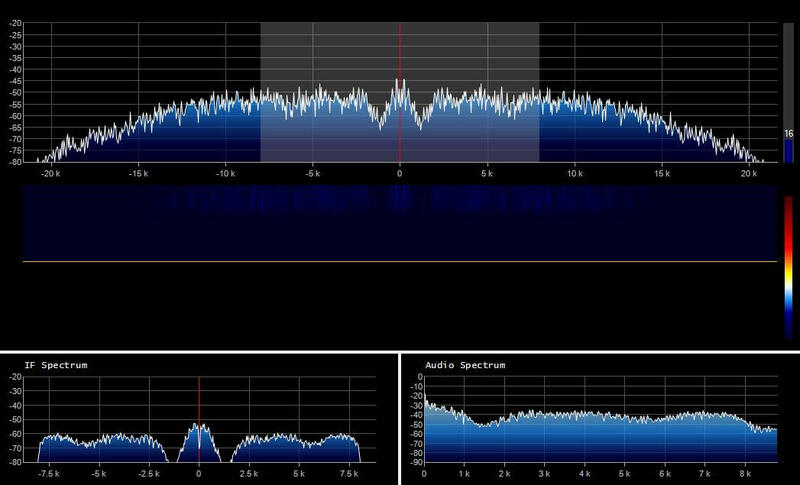 Adds an audio spectrum waterfall to SDR#. Allows you to watch analogue PAL TV channels in black and white through SDR#. Adds the ability to set tracking notch filters in the IF stage and to asymmetrically filter the IF stage. 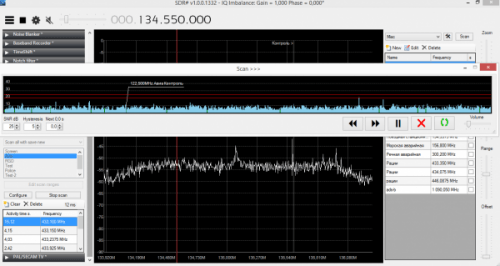 An enhanced version of the recording plugin that comes standard with all SDR# installations. Adds a scheduler, a feature to record only when there is a signal, select samplerate, and choose file output location. A modified version of the default audio recording plugin. Adds a scheduler. 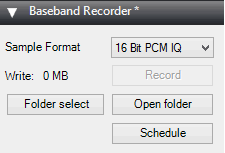 Allows you to record an IQ file of just the current IF bandwidth. An IQ recording of just the IF bandwidth will be much smaller than one of the entire bandwidth. Adds a power meter for the currently tuned frequency and bandwidth. Allows users to interface with the CSVUserlistBrowser plugin intended for use with Winradio products. The CSVUserlistBrowser is a program that provides a database of radio stations. Allows programs like RDS Spy to work with the audio output from SDR#. This allows SDR# to interface with Radio-Spy Spectrograph which is radio astronomy software that allows fine control over a waterfall display. Automatically converts the current frequency input to an aviation one according to the standard 8.33 kHz channel spacing. Simply locks the frequency settings in SDR# to prevent accidental changes. 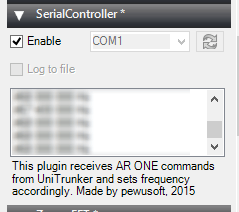 Allows Unitrunker to interface with SDR#. For example it can be used to allow unitrunker to control the frequency setting in SDR# to following trunked conversations over various frequencies. Allows you to use the RTL-SDR as a passive radar detector. Averages the current bandwidth. Is useful for applications such as radio astronomy. Adds support for mapping buttons on Contour shuttle USB controllers to SDR# functions. Adds a simple visual tuner knob that is especially useful for those running SDR# on touchscreens. Allows you to stream demodulated audio over a TCP server. Adds simple UI options to SDR#, including the ability to make the interface black in color, remove excess padding to save screen space and to move the top frequency toolbar to the bottom of the screen. Allows you to take easy screenshots of the FFT and waterfall spectrums. 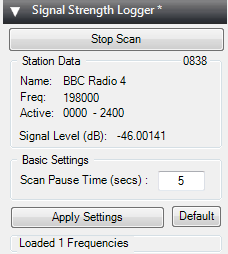 Puts some useful SDR# controls right on the SDR# toolbar, making them easier to access. Allows you to control SDR# from WSJT, HDSDR and other software. Requires a virtual serial port like com0com. Allows you to generate a heatmap image from an rtl_power scan in SDR#. You can then click on the heatmap to instantly tune to found 'hot' areas. 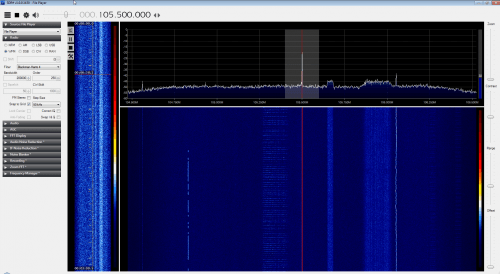 Adds a "magic-eye" or cats eye graph to SDR#, which allows you to view the eye pattern of the tuned signal. A launcher for the multimon-ng decoder. Not really a plugin, but a modified front end interface and driver for the RTL-SDR that allows manual control over the LNA, Mixer and VGA gain stages. Also enables decimation which allows for better narrowband warefall views, and a easy control for activating a SpyVerter upconverter. 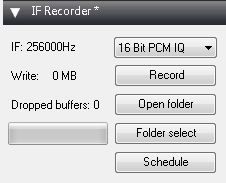 This plugin give a playback interface when playing back recorded IQ files. Allows you to view the entire waterfall of the recorded file and quickly skip to any time. 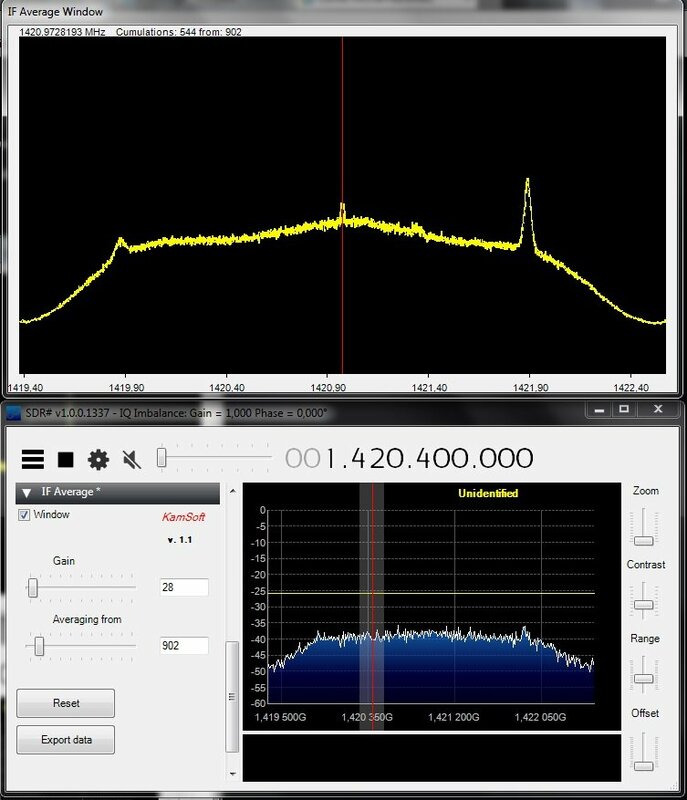 A plugin which allows the E4000 Linrad gain profiles to be used in SDRSharp, via use of a modified rtl_tcp server. These plugins no longer work, but may still work with older versions of SDR#. Usually they stop working because of an SDR# upgrade that requires some minor modification to the plugin, but the plugin is no longer maintained. Some provide code so there may be hope in getting these running again if someone is willing to make the changes and recompile the code. 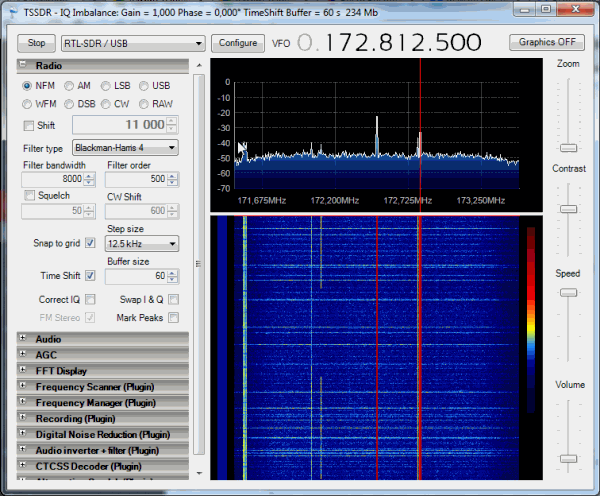 Allows the Orbitron satellite tracking software to control the frequency in SDRSharp. This is useful as Orbitron can automatically correct for the Doppler shift when listening to satellites. Another scanner plugin similar to the scanners already shown above. Add frequencies to the database, then use the scanner to automatically find an active signal. Download link and users guide here. 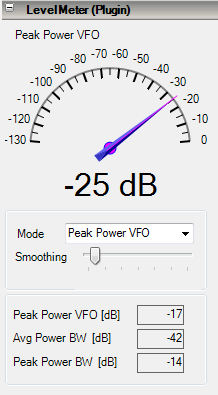 Adds a audio FFT display in the plugin window. Adds a simple audio scope to the plugin window. Adds a simple audio EQ balance setting option box in the plugin window. Logs signal strengths over time of specified stations. Enables SW station names to be displayed within SDR#. Allows SDR# to associate with a GlobalTuners.com account. 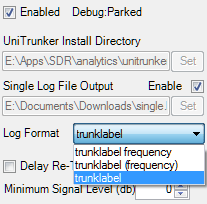 Allows the trunking control software Unitrunker to control the frequencies in SDRSharp. This allows digital and analogue trunking systems to be followed. Note that Unitrunker can now directly interface with the RTL-SDR, so using SDR# together with Unitrunker is no longer recommended. Automatically tunes to signals that appear in the spectrum which are above a certain adjustable signal strength. Can also create null areas to prevent automatically tuning to unwanted signals. There seems to be only an outdated version, which is built in to an old version of SDRSharp available. Runs the ADSB# ADS-B decoding program as a plugin in SDRSharp. The main advantage to using this plugin is that you get to visually see the waterfall whilst decoding. It also adds a 1-bit CRC error check. A modified version of the scope view plugin with Decimation, HoldOff and Hold options resides in the SDRSharp Yahoo group files section under the name TXmonitorScopeView.zip (you will need to join the group first to download).